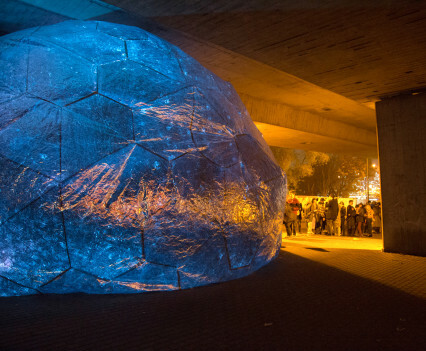 Osmo was first inflated below the A13 flyover for Light Night Canning Town in London curated by The Brick Box for the 2014 theme of ‘The Fire and the Stars’, centred on the ancient tradition amongst many communities of gazing into flames and up at the stars, whilst telling stories and freeing our creativity. 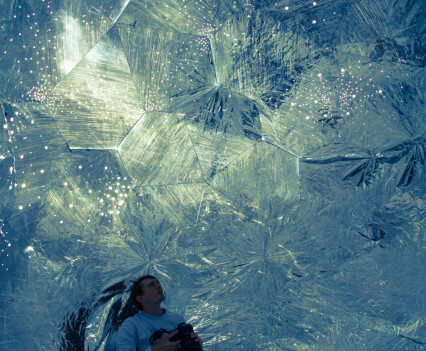 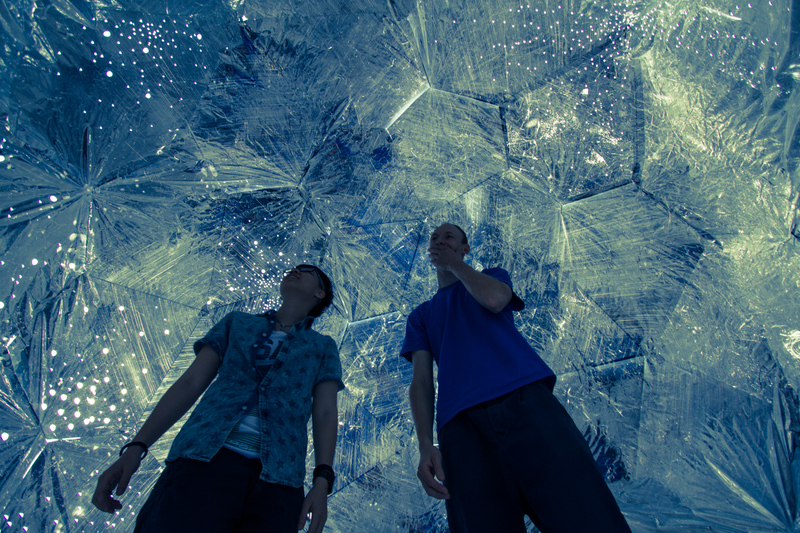 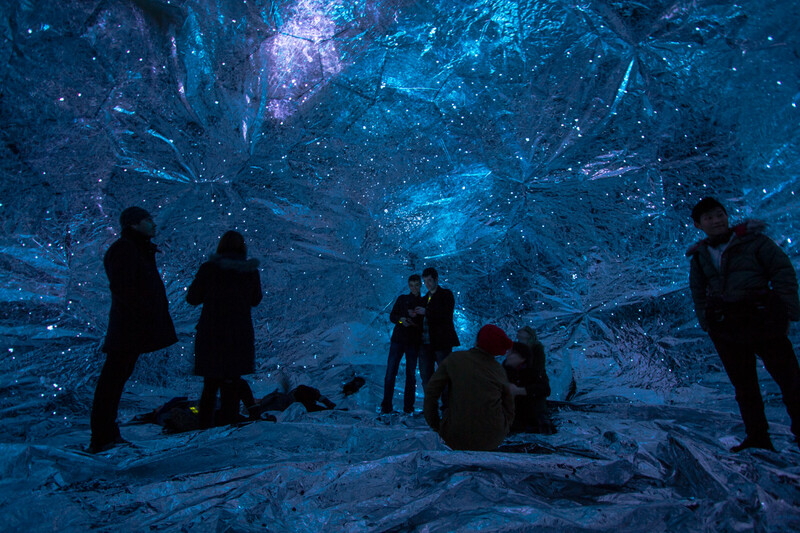 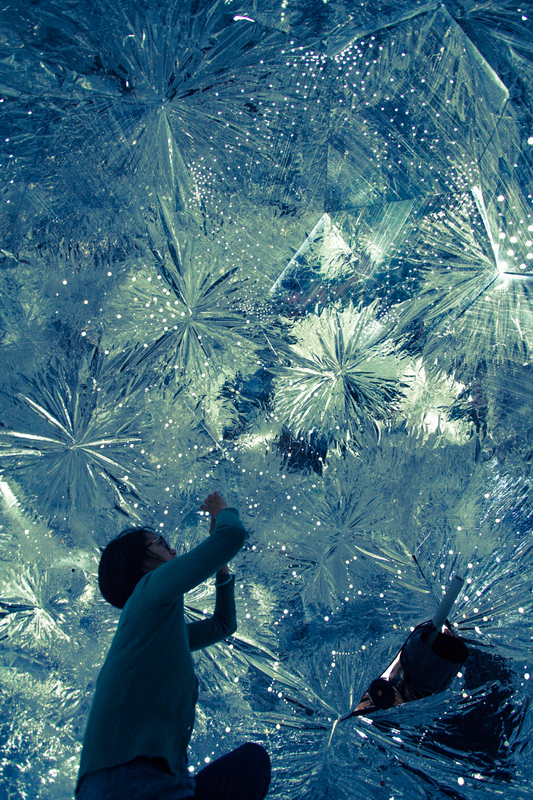 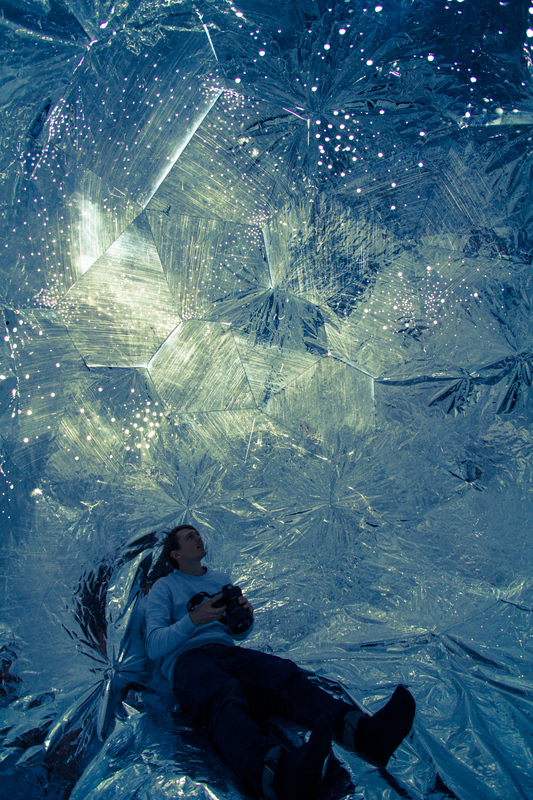 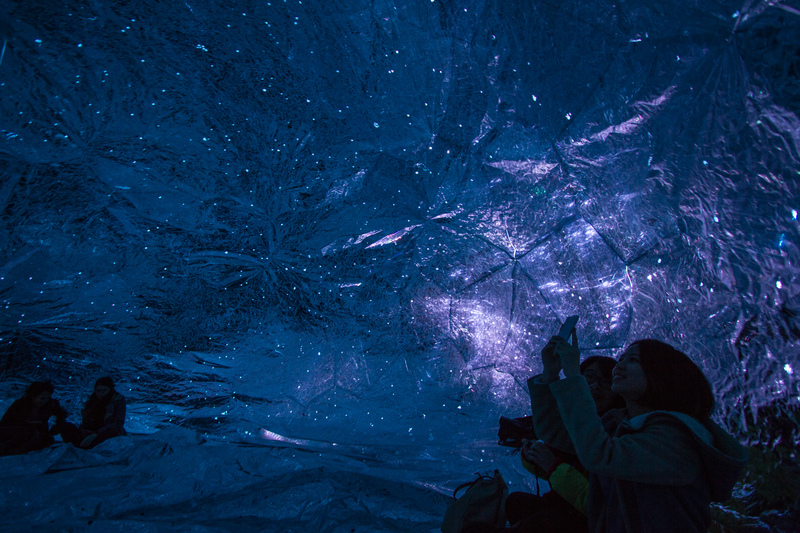 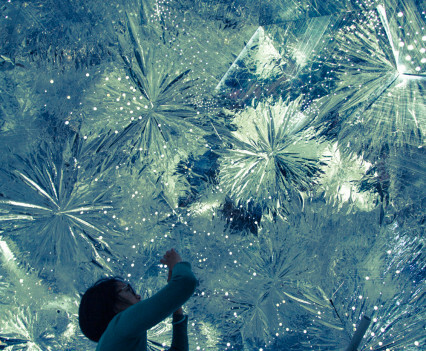 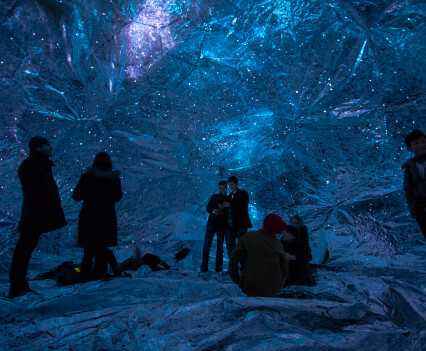 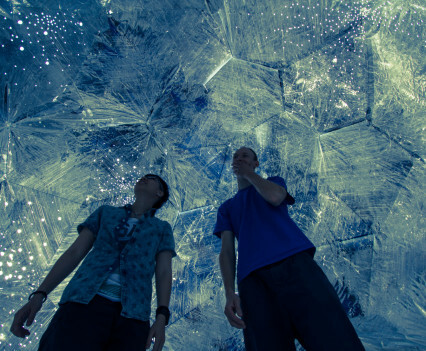 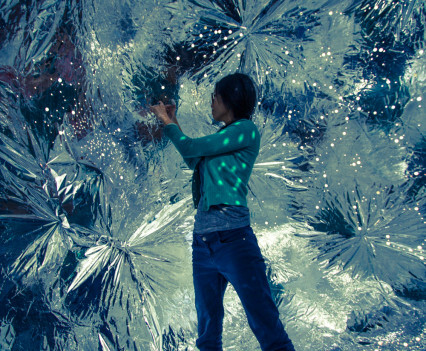 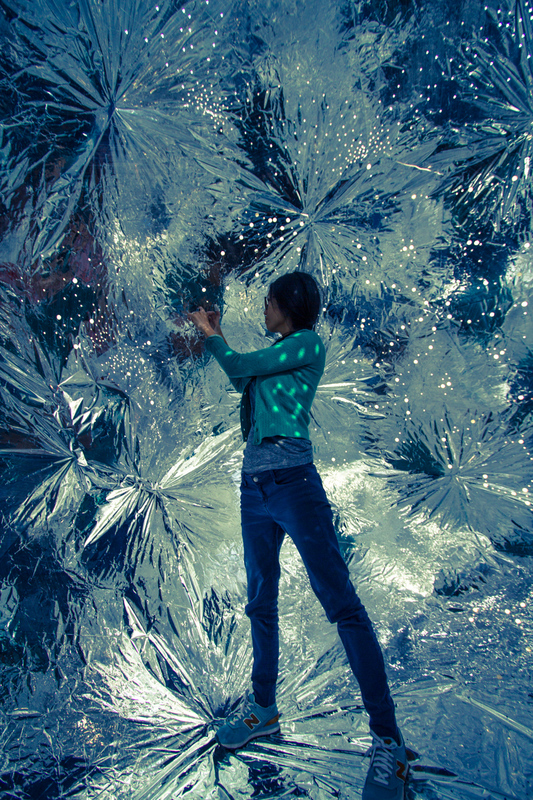 Visitors were invited to step into a monumental silver sphere with a projected universe held within its interior made from reflective silver mylar – a NASA space material. 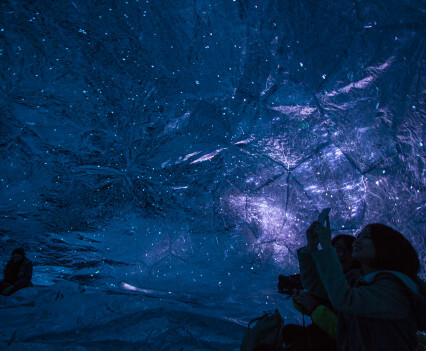 For many inhabitants living in dense urban areas, the chance to gaze upon the night sky is near impossible with tall buildings and light pollution obscuring the view. 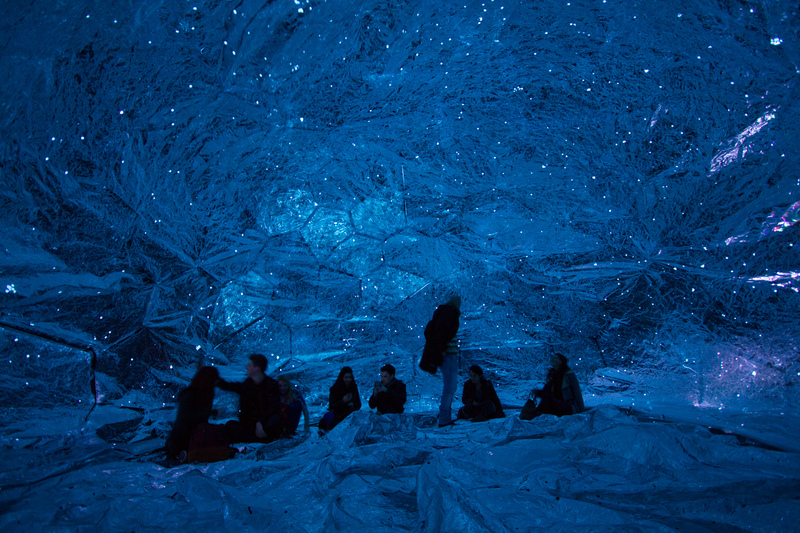 The design team used a map of the constellations to chart nearly 3000 stars and planets to re-create the cosmos. 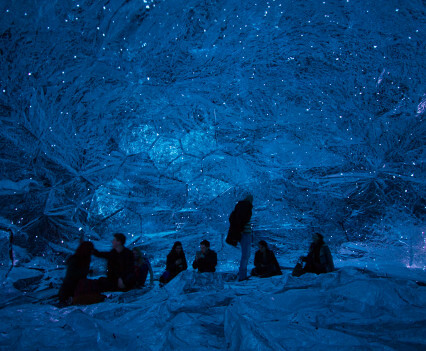 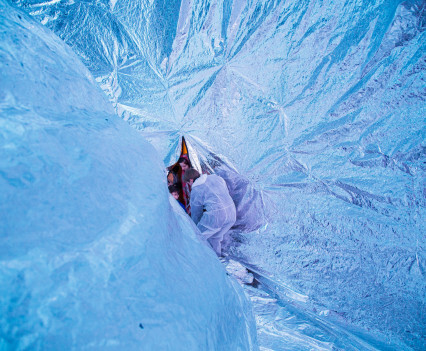 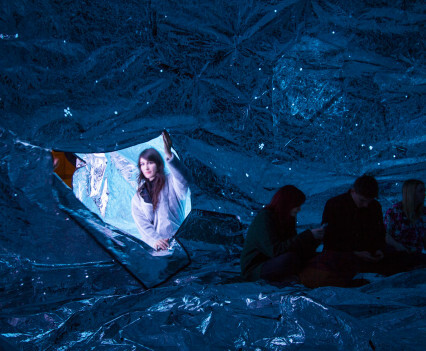 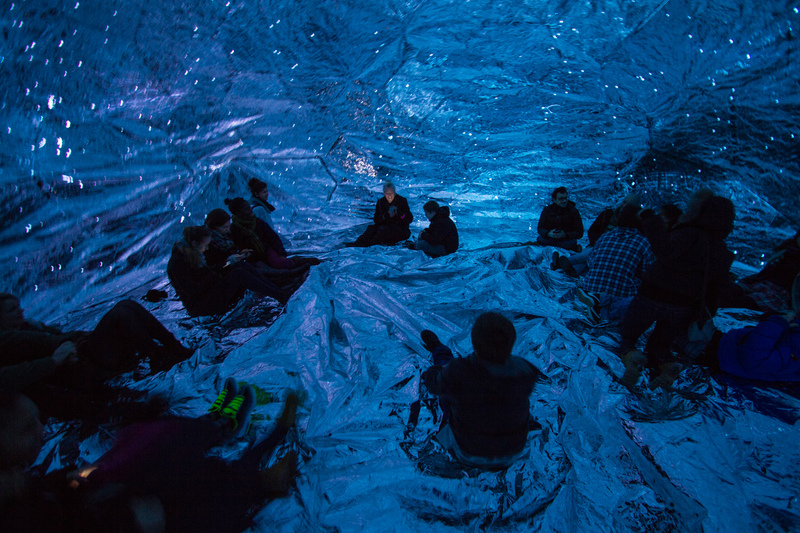 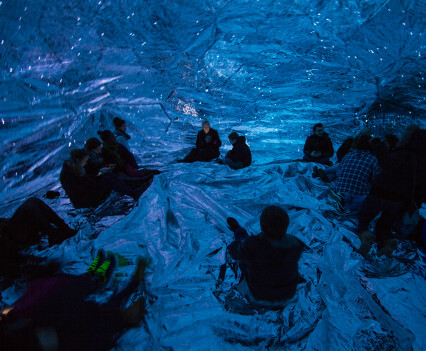 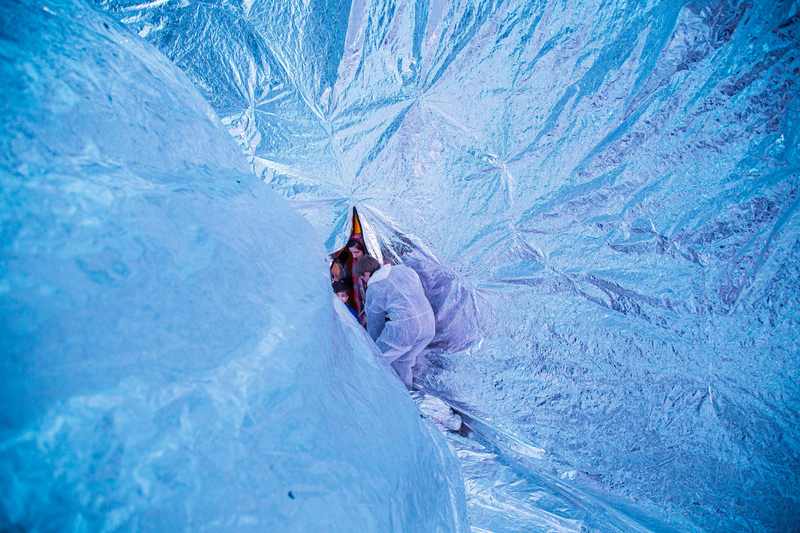 An infinity membrane enveloped the viewers and invited them to bathe beneath the stars, whilst listening to an ambient soundscape with live sounds from outer space. 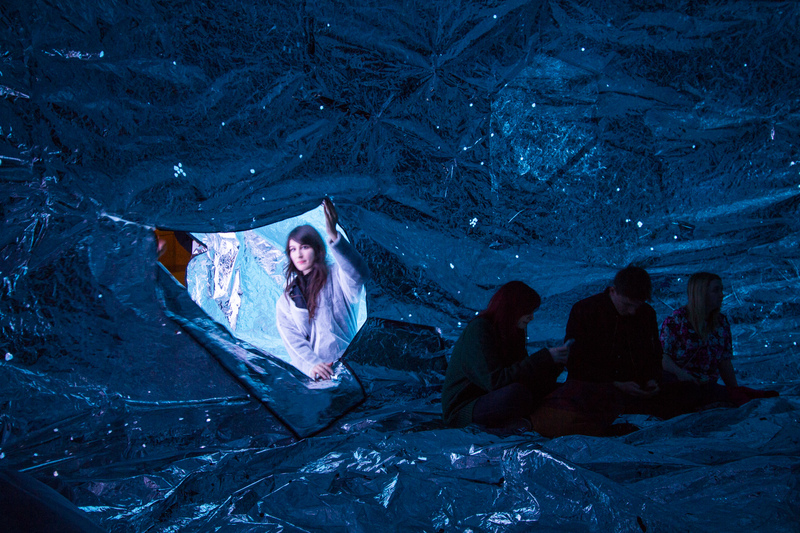 Loop.pH like to craft and order space into magical experiences, and Osmo was an experiment in totally transforming an awkward and busy public space into a place of wonder and tranquility. 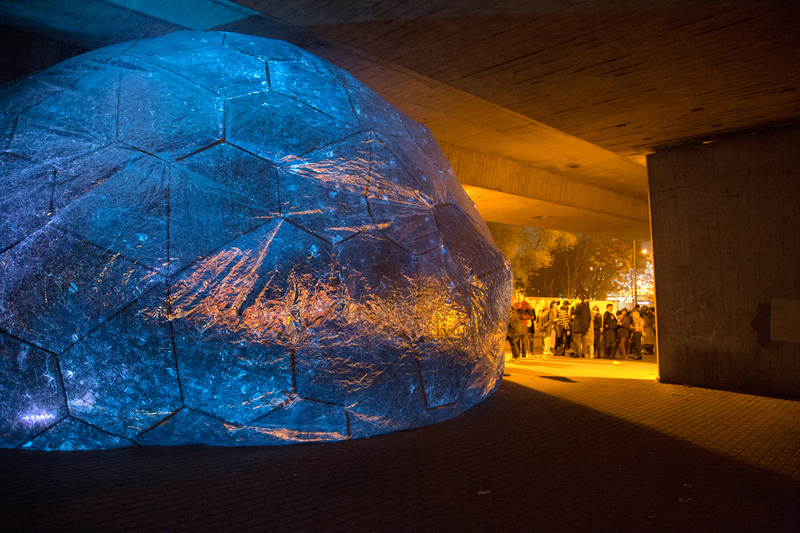 Light Night Canning Town 2014 is curated and produced by The Brick Box and supported by the International Association of Lighting Designers.